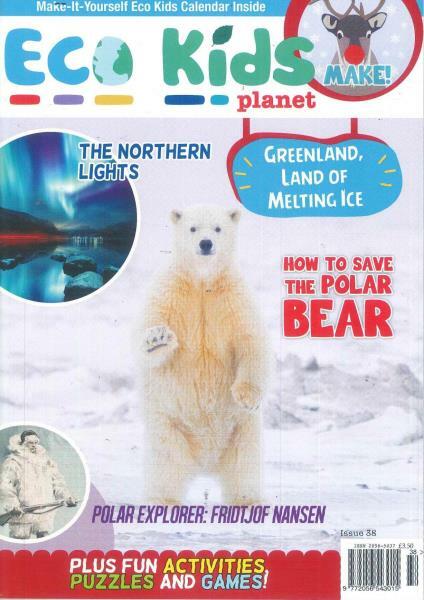 Eco Kids Planet offers a series of colourful and informative magazines aimed at 7 to 11-year olds, exploring the wonders of the natural world and our intricate relationship with it. Buy a single copy or subscription to Eco Kids Planet magazine. Followed by £9.90 every 3 months by direct debit. If you want your kids to be more aware of the world around them, their place in it, and how their actions can affect the planet, then Eco Kids Planet is the perfect place to start. Perfect reading material for schools and libraries, Eco Kids Planet focuses on a different aspect of the world and its diverse ecosystems each month, covering the likes of the oceans, Borneo and the Australian outback in previous issues. Eco Kids Planet is designed to cater mainly to children in Key Stage 2, or between the ages of 7 and 11. Full of fascinating facts, engaging puzzles, and beautiful photography to keep kids interested and learning for hours and hours. There are also regular things to make and do, so the learning doesn't have to stop when the magazine has been read.